Being Little Ruggers since 2010! Little Ruggers is a non-contact, play programme, specifically designed using the transferable skills of Rugby to create a fun and enjoyable environment whilst developing basic core motor skills and confidence. At Little Ruggers, we believe that children should be partaking in more sports and general exercise, looking to target around 60 minutes+ of physical activity each day. We feel this is best instilled at an early age in a fun way to build habits for a healthy life. As children move from being infants to toddlers they become more self sufficient, wanting to explore their independence. We encourage this by the way our sessions are structured through progressing the levels of independence required in each of the various games, drills and activities we use. This continues to develop from our Puma classes (2-3.5 years), to our Jaguar classes (3.5-5 years), finishing off at our Lion class (5-7 years) where our Little Ruggers graduate to the local Rugby Clubs. Our lesson plans are changed fortnightly to continuously challenge the children and to maintain their interest. Through a range of fun activities – using child friendly equipment – the children will develop improved hand-to-eye co-ordination, balance and agility. This will not only aid their physical development but also help to develop social skills through improved self-esteem. The classes are held indoors (unless the weather is nice in the Summer!) in a safe and suitable environments such as sports halls, school gyms and community centres. 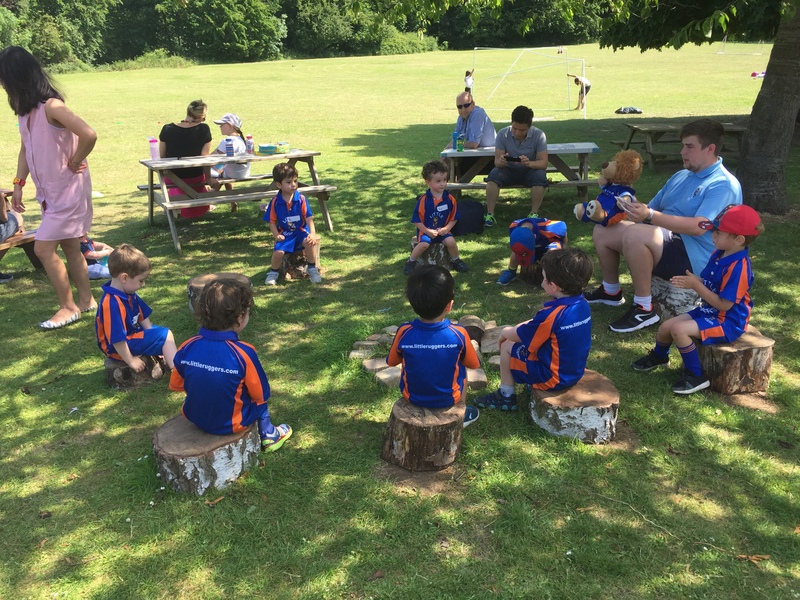 Although it is great to hear that lots of our Little Rugger graduates are still enjoying their rugby after moving onto local Rugby Clubs, Little Ruggers is certainly not just for potential rugby players or just boys! The skills they will learn at Little Ruggers will provide them with numerous transferable skills both sporting and personal skills in addition to ensuring they are fit and strong. These skills can help them through both their child and adult lives! All Little Ruggers classes are fully insured and will be run by experienced head and assistant coaches. This will allow our classes to run in a fun and caring environment. All coaches are enhanced DBS checked. We run classes in Letchworth, Welwyn, Royston, Stotfold, Stevenage and Sandy. Why not come for a free trial to see what Little Ruggers are all about!